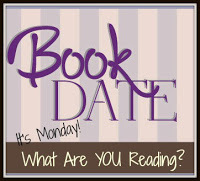 Book By Book: It's Monday 3/5! What Are You Reading? Productive week last week! I had a lot of writing time and nailed down some more columns for Shelf Awareness, plus I am going to start writing author interviews for them! Exciting stuff. Now, I just need to figure out how to conduct an interview... My reading time is going to be super busy this next month, with my usual review book, plus reading the extra books for my first two author interviews, plus book group reads! Too many great books to read is a nice problem to have, though, right? We also made time for some fun this weekend - my husband and I enjoyed dinner out and a movie at our local recliner theater - I love that place! We watched Red Sparrow, and I hope to review it here later today. Last week, I read my latest review book for Shelf Awareness, We Own the Sky by Luke Allnutt. It's an engrossing novel by a debut author about a family dealing with a serious illness. That topic hit a bit close to home at times, and it is a heartbreaking novel, but its focus is on hope, healing, and love. I enjoyed it and am interested in what this author does next. This book is due out on April 3. Now, I am reading my next book group selection, Alias Grace by Margaret Atwood, a Christmas gift from my husband (I suggested it to the group). Since I just read my first-ever Atwood novel last year (The Handmaid's Tale), I am glad for the chance to read more. This is a historical novel, based on a real-life woman in the mid-1800's in Ontario who was sentenced to life in prison for murder. I'm only 100 pages in so far, but I think that the question of whether she is guilty or innocent will be central to the story. It's good so far. I tried to start a new audiobook this morning, but I got out and found that it had not transfered to my iPod. But I do intend to listen to The Freakling, book 1 of the Psi Chronicles by Lana Krumwiede, a middle-grade/teen/YA dystopian novel that I downloaded free from SYNC last summer. My husband, Ken, is reading NightSun by Dan Vining, a novel I recently reviewed for Shelf Awareness. It's a detective story set in 2025 that combines mystery, suspense, and dystopia. Our son, Jamie, 23, is reading book 6 in the Wheel of Time series by Robert Jordan, Lord of Chaos. He loves this epic fantasy series. He said it is keeping him up too late at night. He got about $150 in Amazon gift cards for Christmas and has already spent all of it - almost entirely on books! TV Tuesday: The Marvelous Mrs. Maisel - 1950's housewife tries stand-up - a must see!! I haven't read any Atwood books; I need to fix that! I hadn't either, until last year! She's an excellent writer. Interesting how very different this one (historical fiction) is from her dystopian Handmaid's Tale but both engrossing. The Marvelous Mrs. Maisel looks fantastic. I want to watch it when I have time. Definitely squeeze it in, Angela - it's so good!! It's been a while since I read Alias Grace, but it was one of my favourite Atwood novels. Killers of the Flower Moon Is on my nonfiction must read list for this year, but honestly, I am a bit afraid of this kind of stuff. Glad to hear you enjoyed Alias Grace so much! Why are you afraid to read Killers of the Flower Moon? Because of how horrifying the murders were & the gov't's treatment of Indians? All true, unfortunately, but the book is not graphic. I would hope that by reading this sort of history, we could avoid repeating the mistakes of the past...though that doesn't seem the way things are going! That's how I felt! Finally got to it last year. Hope you enjoy it! There was a time in my mid-20s when I binge-read practically all of Atwood's novels - from Cat's Eye to Alias Grace to The Handmaid's Tale to The Blind Assassin - I just re-read Handmaid's Tale last year for my IRL book club, and looking forward to reading her other novels this year, hopefully. ha ha - I did that with Ray Bradbury in high school! Read every book our library had :) Now I am catching up with Atwood. I've had Alias Grace on my reading list and tbr shelf for ages. I read Blind Assassin and decided Atwood was not for me, then I read Hag-Seed and decided that maybe she was after all. I'll be interested in hearing what you think of Blind Assassin. I want to read more of her sci fi novels, like her recent trilogy. I read Before the Fall in October - really enjoyed it! On my goodness, what a timely book Only Child seems to be. I'm putting that on my TBR list. Thank you for sharing this week! It was really good - hope you like it, too. How exciting! I bet you will have a great time doing the interviews. If you are going to read more Atwood, I would suggest The Blind Assassin next (it's my favorite of hers! ).